Did an EMP Cripple The Costa Concordia? EMP (electromagnetic pulse): an electric discharge, huge and sudden, that can impose itself upon remote circuits, causing overload and failure. Why would anyone question the official story? The cruiseship ran aground because the captain was drunk. Every news medium reported the captain story, uniformly. How could I doubt? The modern 4000-passenger cruiseship is a complex and very computer-dependent piece of technology, but no backup power system is provided in the engineering that can adequately address this unexpected event, which rendered the massive Splendor completely helpless and adrift. The engines ceased to function along with all steering and other control systems. A similar incident crippled The Queen Mary 2 off Barcelona in 2010. 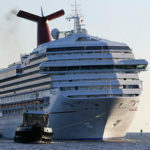 The typical news report focused on the discomfort of passengers deprived of air-conditioning and refrigeration as The Splendor drifted helplessly for three days before being taken into tow. The news did not speculate about the disaster which might have resulted had the failure occurred in less open and friendly waters. Meanwhile the web buzzed with speculations that related the failure of the Splendor to mass sightings of a missile launch about the same time in waters off Los Angeles. The local media went into contortions of denial with the photo evidence (it’s a contrail, they insisted) but Southern California folks, who witness launches from Vandenburg, know what a rocket trail looks like. Did the missile deliver an EMP device that disabled the Splendor? According to a report from Russian intellegence, a missile had been launched from a Chinese submarine in a weapon test that had The Splendor as its target. The weapon was an electromagnetic (EMP) device. Wow! Matbe this should have been the Story of the Year, instead of that fiction about Osama. “Experts have said the captain may have been correct in his belief that his ship met its fate because of a power failure. Passengers rescued from the stricken liner reported there had been a power blackout and a large booming noise, which indicated the vessel may have suffered an engine room explosion. Last night Malcolm Latarche, editor of the global shipping magazine IHS Fairplay Solutions, said the problem may have been caused by a phenomenon known as ‘harmonic interference’. “Mr Latarche said it was possible the cruise liner experienced the same problem that saw the Queen Mary 2 lose power in September 2010 as she was approaching Barcelona. On that occasion, the QM2 was able to carry on into open sea. Of course, this segment completely contradicts the headlines and the rest of the article. The Daily Mail editors make no comment, but juxtapose the two mutually exclusive stories — an invitation to double-think. What is an EMP? An electromagnetic pulse is an electric discharge, huge and sudden, that can impose itself upon remote circuits, causing overload and failure. An EMP is a violent thump to the ether. The weapon potential of an EMP is obvious. Did you know that a single EMP burst, such as that created by the high altitude detonation of a nuke, could render any modern city as helpless as The Costa Concordia, The Carnival Splendor, or The Queen Mary 2?. A lightning stroke carries an EMP of destructive potential. An electric pulse from a solar flare of high intensity could wipe out all satellite-dependent telecommunications, and could even fry the electric-power grid. These doomsday scenarios hover over all of solid-state civilization. A man-made EMP burst can be created by the discharge of a bank of pulse capacitors, the oscillations of a Tesla magnifying transmitter, or by the E-bomb shown on the cover of the Popular Mechanics of August 2001. Space warfare is all about EMP weapons. Particularly vulnerable is the solid-state circuitry of modern electronics. Vacuum-tube circuitry is said to be 50,000 times more EMP-resistant, and circuitry using magnetic amplifiers is comparatively indestructible. The Soviets “hardened” fighter jets by using vacuum tubes instead of solid-state components, but in most electronics hardening has been sacrificed to miniaturization. The unprotected modern aircraft with computer controls is EMP-vulnerable and can be brought down by a lightning stroke or an EMP weapon. Your modern computerized automobile can be brought to a halt by a directed EMP pulse, and so can your cardiac pacemaker. Nobody wants to admit to the implications of this set of facts, least of all the tourist industry. 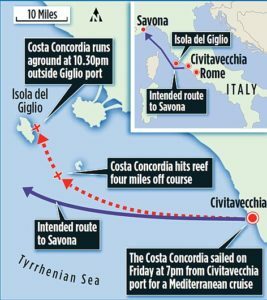 This would explain the Costa Concordia cover-up and the exclusion of any history of like events or any speculation on the cause from the mass media. Solid state’s vulnerability means that an EMP burst, far short of a nuke, can quietly do great mischief within its radius of influence without any collateral damage that anyone would notice. It’s sneaky. Mysteriously all function ceases. On ships, power supplies fail, and multiple engines, requiring an orderly protocol for shutdown, freeze all at once, a violence that explains the engine-room explosions and fires reported. If it was an EMP hit, the perpetration of such a disaster could have been for its symbolic value. The Costa Concordia was the pride of Italy, and the ship was themed to celebrate the European Union, its 11 decks being named after Euro-zone nations. The wreak of The Concordia coincided with the breakdown of the EU economy — an interesting sychronicity, as conspiracy theory seeks a who-benefits. 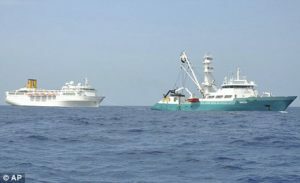 Costa Allegra crippled in Indian Ocean. The sister ship of The Costa Concordia suffered the same power-failure scenario as The Carnival Splendor and The Queen Mary 2. Photo, The Allegra under tow: The London Daily Mail 3/1/12. The Daily Mail’s coverage here is as shallow as with The Costa Concordia, focusing again on passengers deprived of air conditioning, running water, and refridgeration in the 95-degree heat. The Carnival Triumph. 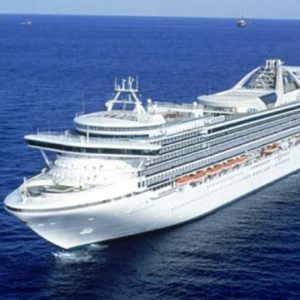 The media coverage of the incident of Feb. 2013, despite its excess, “forgot” the entire history of cruiseship failure. Even the Carnival line’s Splendor incident was forgotten. This was at least the fifth such cruiseship failure. The London Daily Mail article on the Costa Concordia. The EMP-proof Magnetic Amplifier. What is a magnetic amplifier?